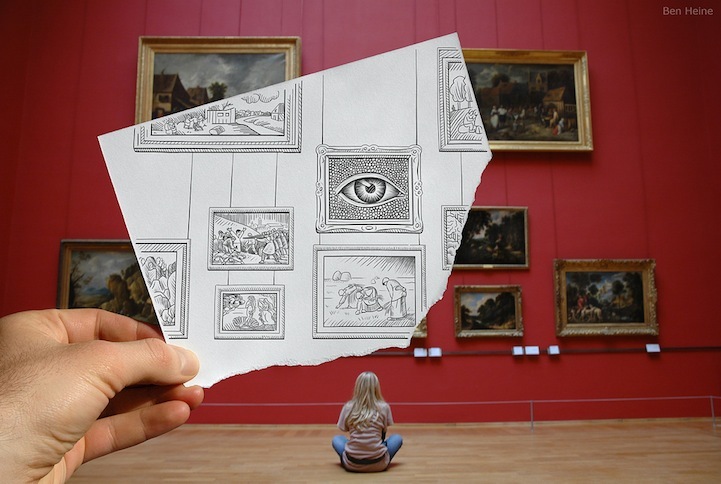 Belgian-based artist Ben Heine mixes sketches of the original landscape/ area with photography. 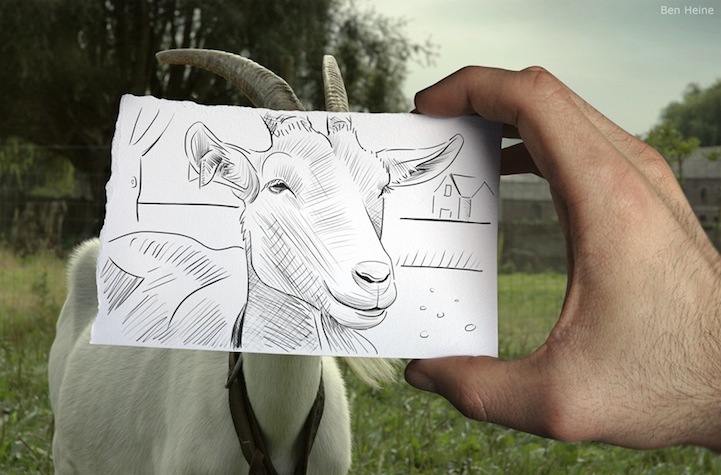 He titles the series, “Pencil Vs Camera.”. Check out more of his work at his blog.